Words and ideas form much of the basis for engaging content used in inbound marketing; however, the competition to attract the social user’s attention is increasingly fierce. Users of Social Media platforms are becoming more knowledgeable regarding what they click and what they leave alone. However, one of the oldest tricks in the book, the picture that paints a thousand words, is still an effective hook to help your content stand out from the crowd. The right image in the right place can elevate even a modest social post into a successful crowd-puller. Content matter and stylistic approach can vary greatly among images, as well as in the text portions of social media marketing. Nevertheless, there are still some approaches to the use of photography that can consistently be relied upon to increase the attractiveness of a content link and to emphasize a brand in the public eye via social media. Yes, one of the most repeated rules of communication is still valid. The ‘KISS’ rule is easy to remember, and yet so many people forget - a simple, colorful, attractively composed image can add value to even a small link to a social media update or blog. Detail gets wasted when size is reduced or when the web user is skim-reading a page. Simplicity is still in fashion. 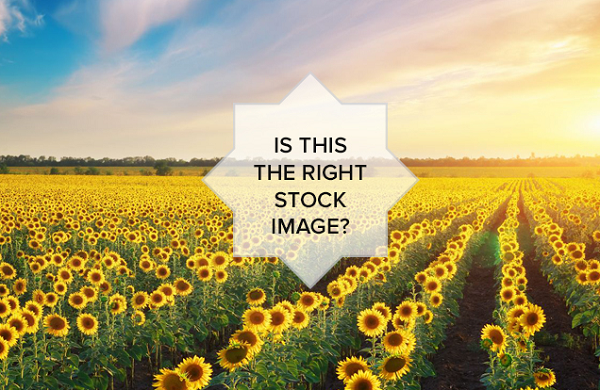 Using stock photography, such as the images from Dreamstime is one way to ensure that the images you are using are high quality. There might be times when a forceful image, such as a clenched fist or a work tool, can make a striking and clickable image. However, the lines and framing of a photograph can be used to draw web users into making a click, rather than pushing them away. A path or road leading into the image is one of the easiest such ideas to visualize. However, there are many others, such as the corner of a room, a window frame, or an angled approach to a coastline. Imagination is the only limit. The image may have a clear link to a product or a brand: on the other hand, it may require a small amount of text to add relevance, wit, or an unexpected twist. It is important, though, that a web user should know what they are clicking through to, or they may be fast in hitting the back button. Show the product in use or tell a story about the product. Make a content connection. Cuddly animals and interesting people have long been a mainstay of popular Internet memes. This is because they can still work in getting attention. The classic placement of text above and below a portrait-style image may feel a little staid, but the format goes straight to the heart of why people form a connection to social media - be human. Part of the effectiveness of a photograph in web marketing can be the subtle use of a brand name or logo. The most obvious way to do this with a photograph is through an unobtrusive copyright statement that incorporates the brand name. This has the added bonus of helping to protect intellectual property. Another possibility is to superimpose or to incorporate a logo, either to claim ownership of the image or to add an extra dimension to the image. Either way, the extra level gives added presence to the brand, and makes the brand visible. With the right image, and the right content, Social Media Marketing should become a veritable walk in the park. Good luck with your marketing strategy and let us know how you get on!